Satoru Iwata, president and CEO of Nintendo, says that his company is investigating possible mergers and acquisitions. Nintendo has always been one of those companies that refuses to listen to outside voices, and until recently, this philosophy has served the company well. Unfortunately, the Wii U hasn't exactly been successful, which means that the Mario publisher needs to rethink some of its basic principles. And, according the President Satoru Iwata, Nintendo is considering some drastic changes. 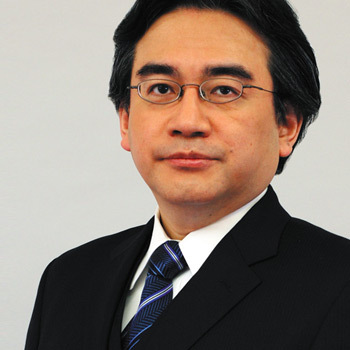 In a recent interview with The Nikkei, Mr. Iwata acknowledged Nintendo's woes and outlined a potpourri of adjustments. "We'll change the way we sell products, by managing customer information via the Internet," he explained. "We'll offer discounts to steady, regular customers. We'll cultivate emerging markets and launch new businesses in health and other areas." Surprisingly, President Iwata also mentioned that his company is open to mergers and acquisitions. "We should abandon old assumptions about our businesses," he said. "We are considering M&As as an option. For this reason, we'll step up share buybacks." Mergers and acquisitions have always been a sore spot for Nintendo. Like I said, this is a traditionally isolated, but confident, corporation. Rumors about a possible partnership with Apple are already starting to swirl, but they're entirely foundationless at the moment.